1. Heat oven to 350°F and line a baking sheet with foil. 2. Place pecans on sheet and bake approximately 3-5 minutes. When done, transfer pecans to a heat-resistant bowl to cool and increase oven temperature to 425°F. 3. While pecans are toasting, cook the bacon over medium heat, in a medium-size skillet. Fry until crisp, then transfer bacon to a bowl. Keep the bacon fat/drippings. 4. 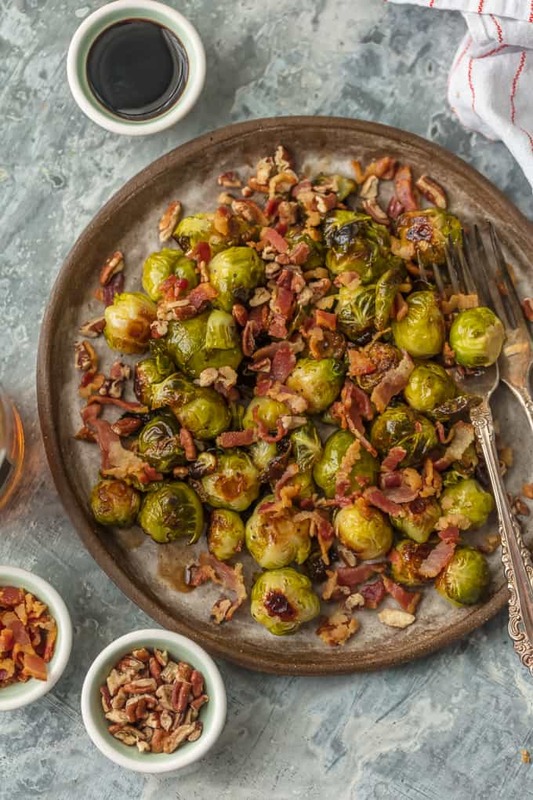 In a medium mixing bowl, combine brussels sprouts, bacon fat, olive oil, salt, pepper and red pepper flakes. Spread the Brussels sprouts onto the same foil-lined baking sheet used for the pecans. Roast the sprouts 20 minutes or just until tender. 5. In a small bowl, whisk together the balsamic vinegar and maple syrup and pour the mixture over the Brussels sprouts. Toss lightly to coat the sprouts evenly, and place back in the oven for 5-8 minutes until caramelized. Do not allow the sprouts to burn. 6. Serve sprinkled with toasted pecans and crispy bacon. In just five minutes, you can make this hearty appetizer! We hope you’ll be able to join us on August 13th for dinner, a community fair and an update on your Cooperative. Our annual meeting begins with registration and dinner at 3 p.m. at the Centre Ice Rink at the Delaware State Fairgrounds. If you are interested in being a candidate for your Co-op’s Board of Directors, you must submit a petition to our office in Greenwood, DE by June 13th, 2019. An EF-2 tornado with winds of 120 mph struck Delaware Electric Cooperative’s service territory the morning of April 15th. The storm knocked out power to six-thousand Co-op members and left debris scattered for several miles across Sussex County. Keep Rates Low With Beat the Peak! Beat the Peak is a free program offered by Delaware Electeric Cooperative, which alerts members when times of peak energy use are approaching. You can be notifed on an alert via email, text or an in-home indicator, which will light up when you need to conserve energy. We ask members to voluntarily conserve energy during times of peak energy use becasue that's when the cost of energy is the highest. By reducing energy use across our system during these times, we're able to keep rates low. Our rates are among the lowest in the region! 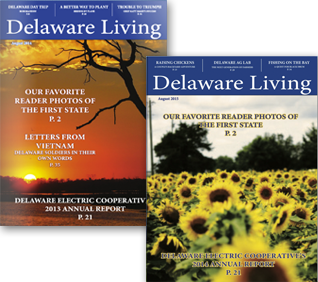 Delaware Living is the Co-op’s magazine sent to Co-op members every August. serves as the Cooperative’s annual report to members.